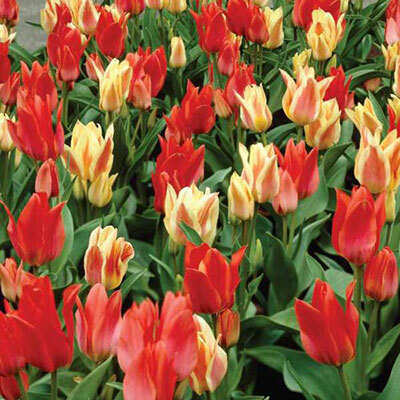 An easy way to fill an area with striking color, the Bouquet Tulip Border features four tulip varieties that all bloom in mid to late spring—and all perennialize well, coming back year after year. The mix includes four varieties, 'Winnipeg', 'Toronto', 'Orange Toronto' and 'Quebec,' in equal quantities. Each bulb produces a stem that carries up to four, sometimes five flowers. 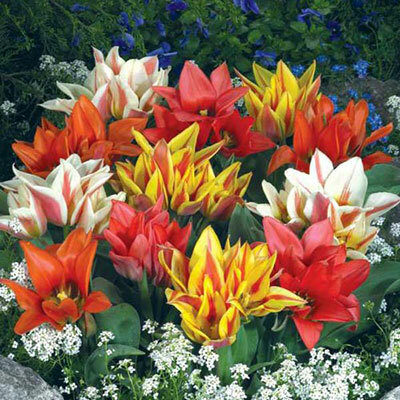 Growing 14" tall, Bouquet Tulip Border is very effective in larger plantings, but also suitable for borders and patio containers. These tulips perform best when the bulbs are planted in well-drained soil in full sun to partial shade. Bulb size: 12+ cm. Average, avpoid water-logged soils or soils that are extremely dry during the spring. 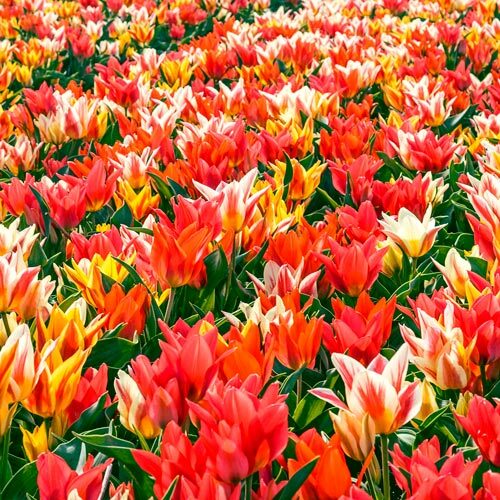 Generally not needed, only when soil is extremely dry during growth in spring.